It’s that time of year Government employees! It’s donation season with the CFC. This year, College is Cool is participating and is looking for your help. With your contribution, CIC can continue it’s mission of encouraging youth to attend college. College Is Cool helps them prepare for the college experience by being an invaluable resource full of educational information and connections. Let’s be proactive in ensuring DMV area teens make positive choices in the future. 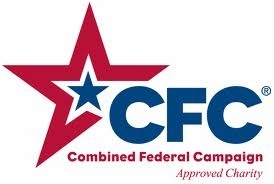 Please contact your HR department for more CFC information and look out for the CFC listing brochure. Your donation is appreciated. We thank you!